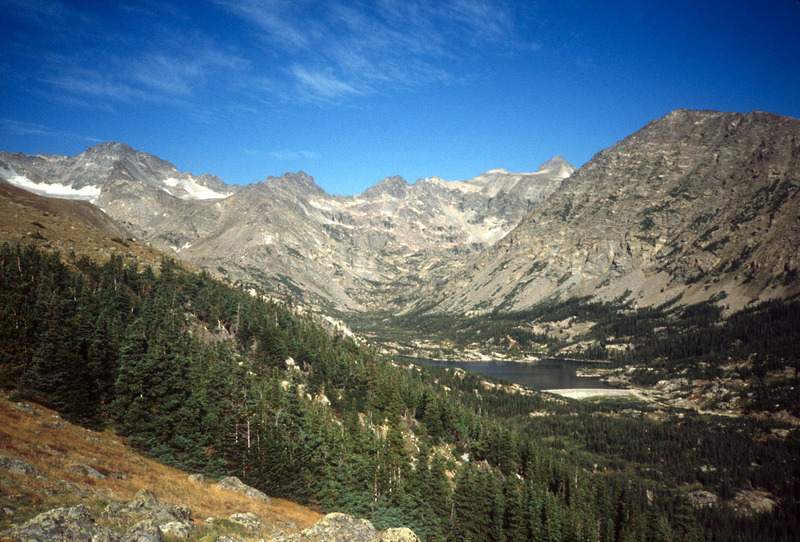 The Indian Peaks Wilderness Area is the region directly south of Rocky Mountain National Park in the Arapaho and Roosevelt National Forests. There is now a lot of good information on the web. The area's proximity to Boulder means it can get pretty crowded at times, especially on nice summer weekends. 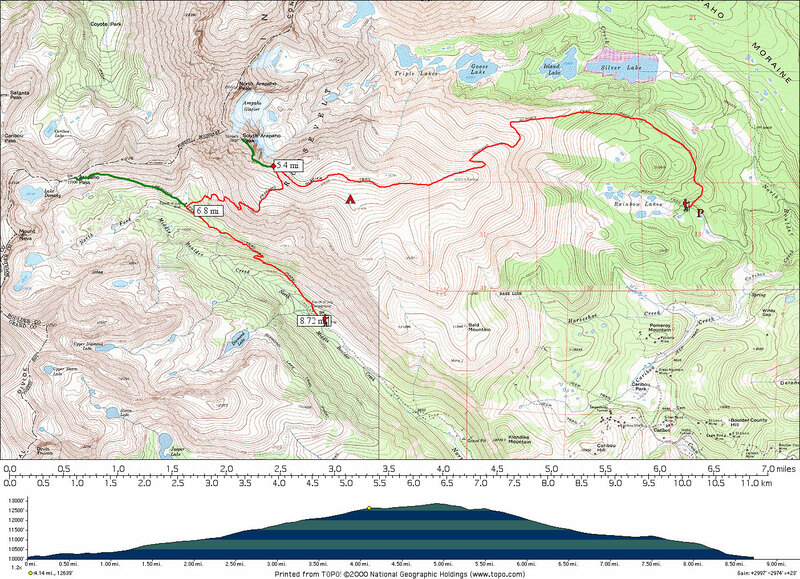 Here is a map of an overnight hike I did from the Rainbow Lakes Campground trailhead. I got a ride to the trailhead at Rainbow Lakes, spent the night not far from the saddle below South Arapaho Peak, and went down and out via the Fourth of July trail to that campground. I had left my truck there the previous day. The green lines indicate other hikes done on different days: the climb up South Arapaho Peak, and the hike up to Arapaho Pass. 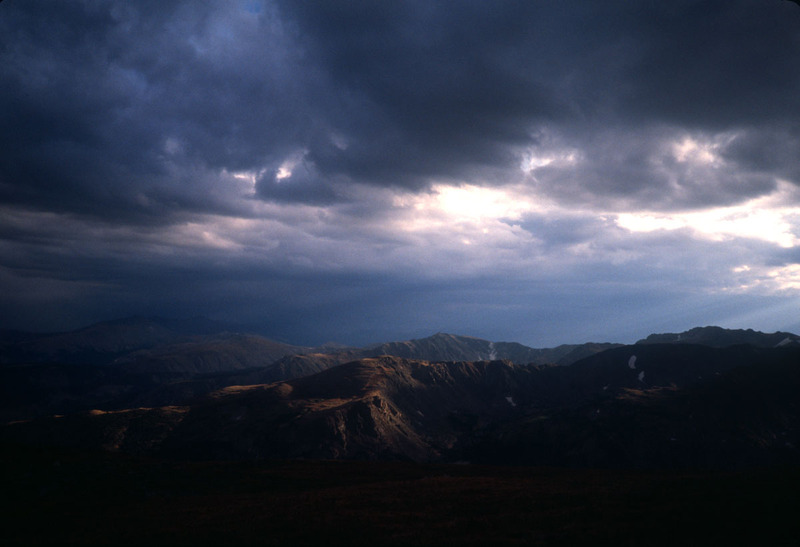 View on Arapaho Pass Trail. 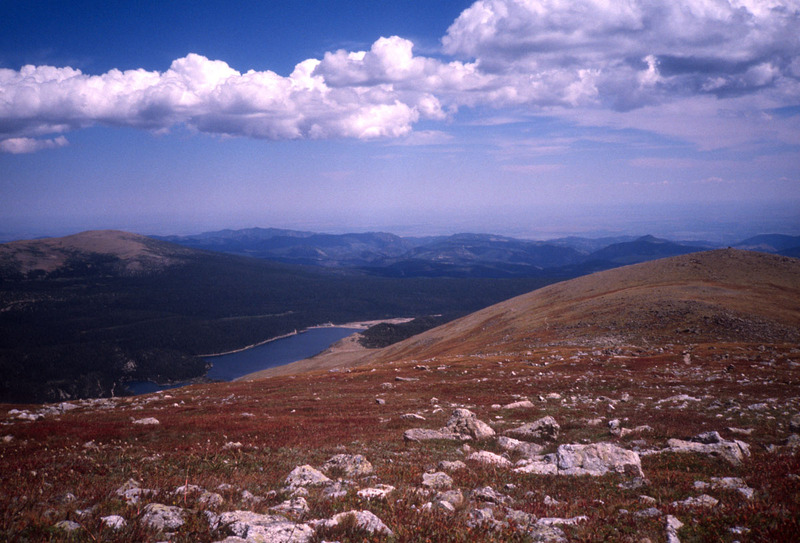 Directly ahead, in the distance, you can see the Arapaho Pass trail and its namesake. 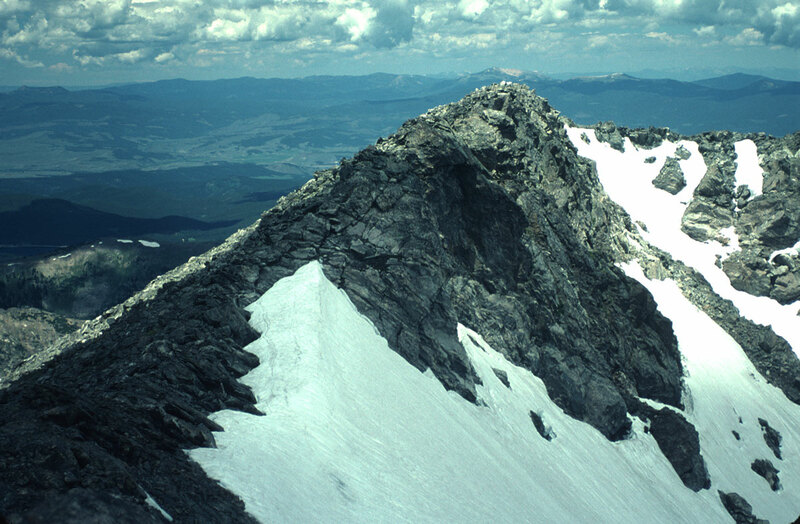 South Arapaho Peak and glacier. 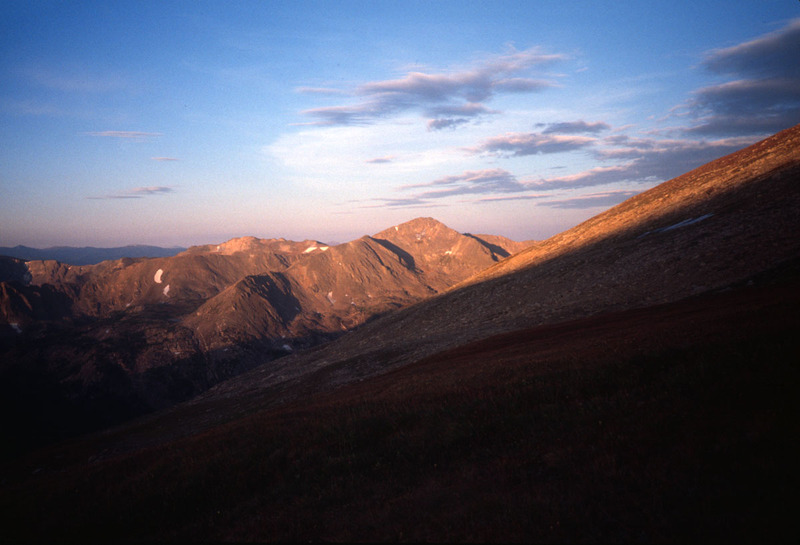 South Arapaho Peak and North Arapaho Peak to the right. 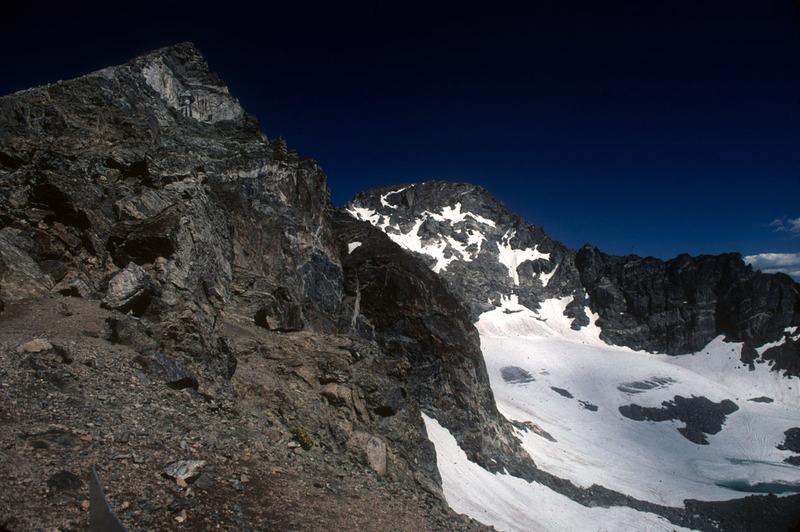 Along the Arapaho Glacier Trail (from a 2000 hike). 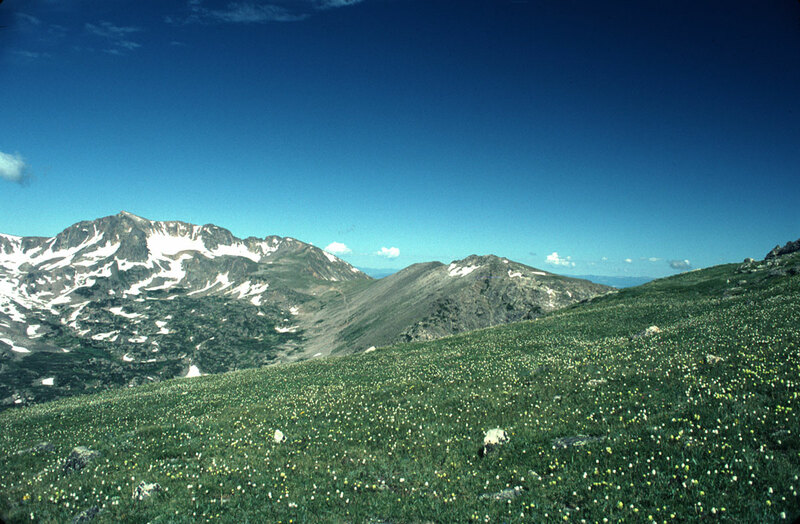 The Arapahoe Glacier is at the upper left, surrounded by North and South Arapahoe Peaks, and the rest of the Indian Peaks stretch to the right. Closest is Mt. Albion. Looking back from Caribou Mountain down Boulder Creek. Lunch break on the flank of So. 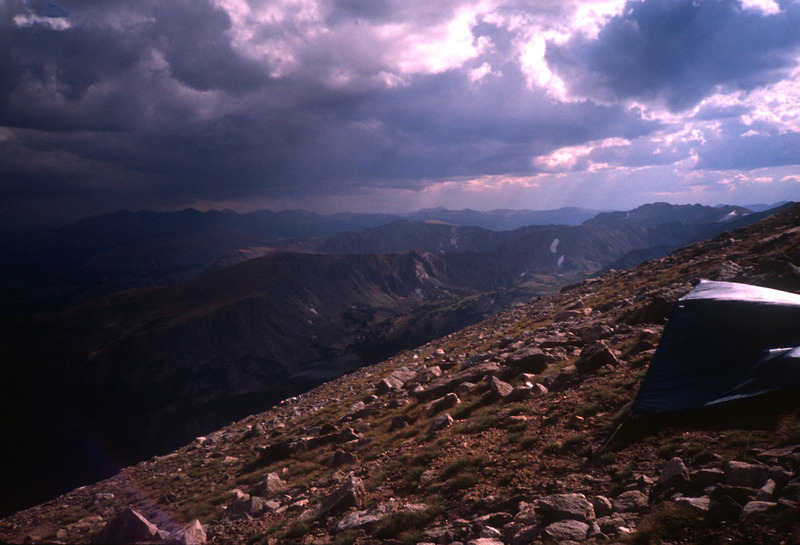 Arapahoe Peak. Evening thunderstorms from my campsite. Sunrise from the same place. 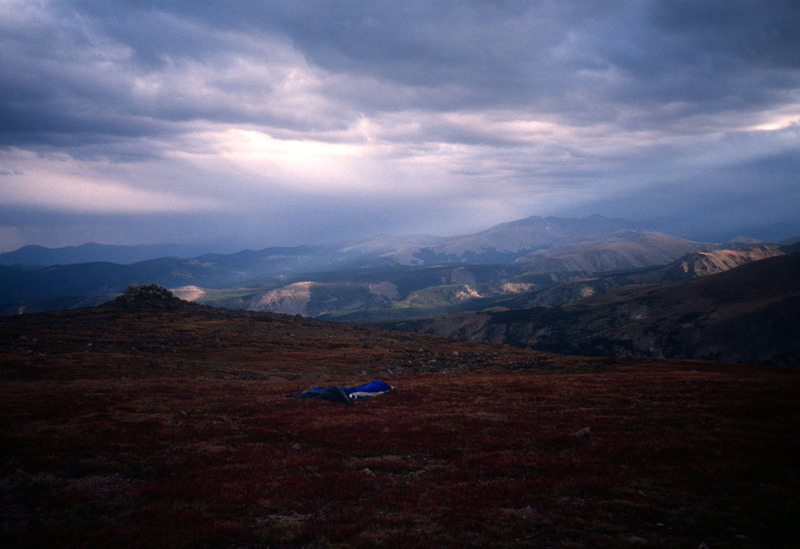 NEW— Here is a trip report and some photos from a recent backpacking trip to Indian Peaks, August 2008.